MOSCOW, January 7. /TASS/. 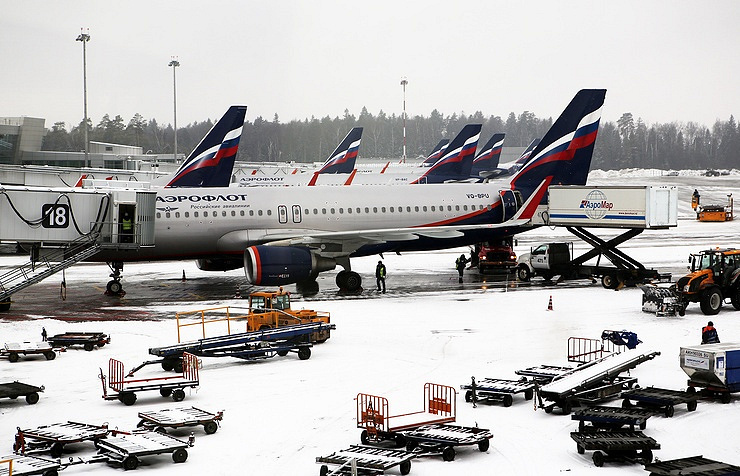 Russian flagship air carrier Aeroflot announced the cancellation of a number of flights between Moscow and New York on Sunday due to the temporarily limited transfer service capacity at the US airport caused by adverse weather conditions. "Due to the complicated infrastructure situation at the JFK Airport and the lack of parking lots for aircraft, the airport announced limitations for the arriving flights," the statement from the Aeroflot said. "The airport intends to work in the short term perspective for the service of departing flights." "Therefore, Aeroflot is forced to cancel flights for January 7: Flights SU100/SU101 Moscow-New York-Moscow, SU102/SU103 Moscow-New York-Moscow, Flight SU123 New York-Moscow," the statement said. "Flight SU122 Moscow-New York, which left Moscow on January 6, is returning to the Sheremetyevo airport." The administration of the John F. Kennedy airport in New York earlier announced that is decided to limit the number of arriving flights and focus on the service of departing flights to ease the situation at the airport. "The Port Authority is working diligently with the FAA, airlines, and individual terminal operators to limit the arrival of flights into JFK Airport until there are adequate gates available to handle the backlog of flights due to recovery of flight schedules after Thursday’s storm," the JFK Airport management wrote on its Twitter account on Sunday. The work of John F. Kennedy International Airport in New York was paralyzed this week due to heavy snowfalls. Two of Aeroflot’s flights en route to the JFK airport on Saturday were rerouted to the Dulles Airport in Washington DC.